The entertainment industry portrays the views of American culture by showing who Americans consider “the best” and “most noteworthy” people in society. On one hand, people have the opportunity to gossip with strangers about celebrity relationships, bond over their favorite actors, and develop opinions about people they have never met with little-to-no repercussions. Unfortunately, there is a flip side to the benefits of celebrity attention—the racial biases are inherently accepted as social norms. It is incredible that somebody could mention Taylor Swift or the Kardashians and everybody immediately knows who they are. Why are we, as a society, placing these people as role models for the majority? What makes a person truly talented enough to be a celebrity? Simply googling the term “celebrity” will result in many white, female faces. Naturally, Beyoncé and Rihanna appear, along with a few other variations in skin color, but the vast majority of these idolized people are Caucasian. Although not the case for all TV shows and movies, castings have proven to be somewhat racist and stereotypical based on what actors look like. Often, an intellectual character is cast as Asian, the “bad influence” is black or Latino, and the rich are white. In the music industry, rapping is associated with black musicians, country music is created by white people, and few famous American musicians are Asian. The stereotypes are ingrained into the minds of each individual, forcing conscious and subconscious variations in treatment depending on race. Celebrities all face challenges regarding how they look, as they are constantly documented and pursued by paparazzi, but their appearances goes much deeper than how they dress and the amount of plastic surgery they get. There are, without a doubt, racist people in this country, and celebrities are an easily accessible outlet for racial frustration. Many of the non-white celebrities that are already famous have made it to a point of success, but it would seem the process toward achieving that success is much more difficult for a member of a minority, based on the mere comparison in the number of well known white celebrities to celebrities of color. Outside of television, movies, and music, the entertainment industry’s racial bias lives on in comedy. 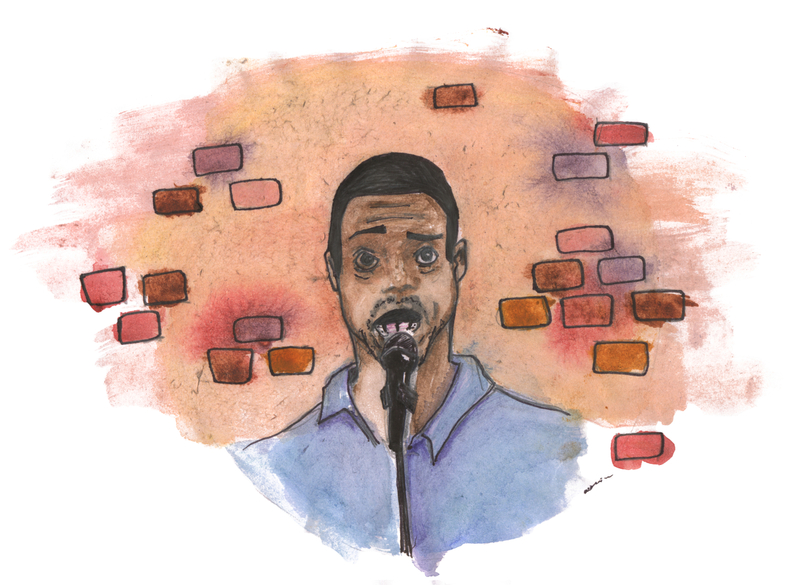 The crowd at a comedy show carries heavy expectations for the comic based on their race. These are expectations that come from generations of comedians using their race as a point of humor. The expectations the crowd has are far too important to be ignored if a comic plans on being successful. A very visible instance of these racial expectations at work is with comic-actor Kevin Hart. A fairly recent come up, Hart is the new big name in black comedy. He started as a stand-up comedian with a fairly race-free act that appealed to all kinds of people. Despite the nature of his act, the majority of the audience at his show has been black since day one. How does a comedian with such a lack of racial content in his act draw such a racially exclusive crowd? The answer is simple: the crowd has a certain expectation of Hart before even walking into his show. Comedy, just like all other entertainment, has to be designed to please the people. But in order to do that, a comic has to abide by the unspoken rules of racial bias. The racial bias can make it harder to perform for minority comics that are forced to follow a deeper set of rules than white comics. In the industry, they say funny is funny, but it seems like funny is funnier if you’re white.